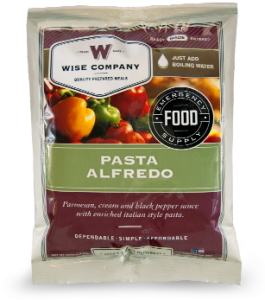 Get a free sample of Wise Food’s Pasta Alfredo. Complete the simple form and wait for a representative to contact you within 24-48 hours. You will receive a full size sample which includes 4 adult servings.